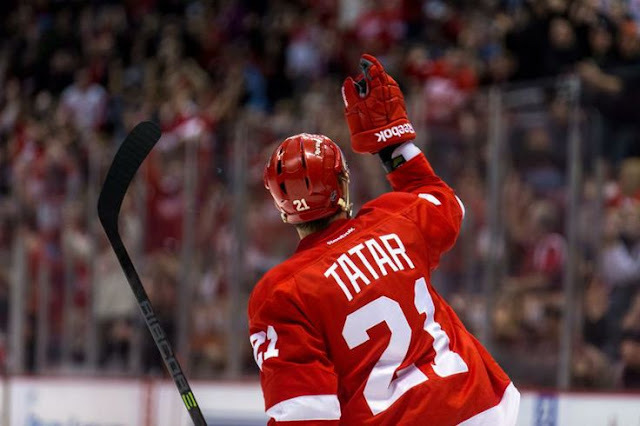 Tomas Tatar - His name has been in the rumour mill for a few months. The Blackhawks showed some interest at the trade deadline. Nino Niederreiter - A name that comes up every now and then. The Lightning and Golden Knights have shown levels of interest. Tyler Johnson - With the Jonathan Drouin trade, the Lightning may have freed up the space needed to keep Johnson. The Islanders have expressed interest. Alex Galchenyuk - It's no secret that the Habs tried or are trying to move Galchenyuk for help down the middle. Contract negotiations continue, however. Ryan Spooner - Though he hasn't come up in rumours for quite a while, Spooner has and may continue to be the subject of trade talks this offseason. Vancouver, Carolina, Brooklyn, San Jose, Vegas and New Jersey have all been tied to Spooner. Calvin de Haan - His name has simmered in the rumour mill for quite a long time. Many believed he was going to be dealt before the Vegas expansion draft. The Red Wings remain interested. Mark Pysyk - Surfaced as a trade possibility around the expansion draft. The Maple Leafs were rumoured to have some level of interest. Zemgus Girgensons - His name has been out there for the last few years, and with arbitration looming that's likely to continue. The Sabres have listened to offers, but seem unwilling to move him while his value remains low. The NHL will announce the summer arbitration schedule some time in the next few days. Many of these players will just end up re-signing. Some of them will get traded. And if it gets as far as an arbitration award, those new contracts may force someone else off the roster via trade.